Under the guise of Pinklogik, electronic musician Jules Straw has been producing her own blend of tunes since 2006, chalking up an impressive catalogue of releases since her debut album Mosaic Electro. The Bristol-based artist released her latest album offering earlier this month in the form of Glint. The new album presents a curious mix of electronica and dreampop that bounces between opaque instrumentals and alluring vocal tracks. Although there is a nod to the more ambient side of the electronic spectrum, the album also boasts an array of gems that deliver a depth and enchantment that at times is quite beguiling. Much of Glint operates on a subtle power with rhythmic beats slotted into busy electronic percussion. The glitchy electronics on tracks such as ‘The Vision’ give it a low-fi pop appeal and Straw’s vocals have a clean and direct approach (“And your choices/they speak voices”). The instrumental outings also present a few surprises, particularly on the blissful beats of ‘Pangolin’. Elsewhere, ‘Grand Water Trine’ offers a nod to trip hop while maintaining a more contemplative air. Meanwhile, tracks such as ‘Glasshouse’ have a mesmerising beauty about them, while also showing a deft hand for melody and rhythm. Similarly, the wistful ‘Lost’ has a sense of loss and regret and the idea of the departure of a loved one throwing your life into confusion (“I can’t let you go/your exit froze me”). Warm synth melodies work away in the background while more empathic electronic elements give the whole affair a sturdier frame. 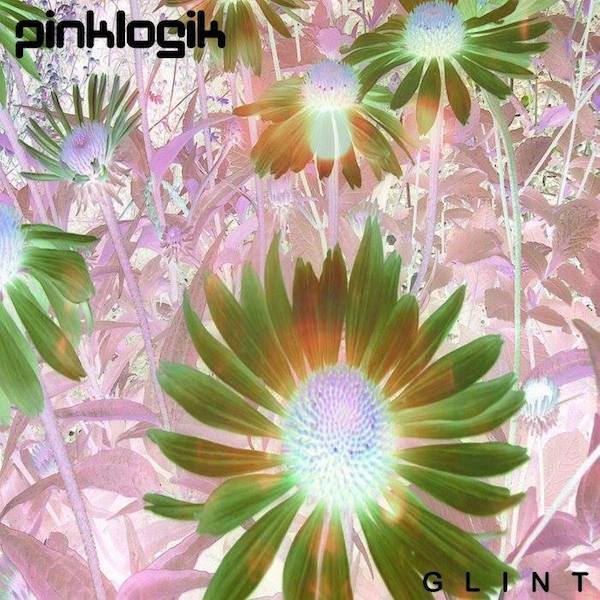 Then there’s the marching beats of ‘Big Truths’, revealing a more robust quality to Pinklogik’s talents. Glitch techniques are utilised on the likes of ‘False Data’, which offers up a machine-like rhythm to the composition. For the album’s final outing, ‘Sparks May Fly’, soft choral effects are dropped into place on a track which also utilises some light vocoder approaches on the vocals. Glint is an album that adopts reflective musings that offer a dreamy escape for the willing listener. It’s also an album that also boasts a smooth production quality with a polish that makes every track pop.